I stood at the airport, right outside the arrival gates, waiting for my Swiss currency to pop out of the ATM. We all know how exciting it is to see the currency of the new country you’re in, a little treasure in itself to use something other than the Euro. Then… Euros came out. I went up to the information desk, confusingly asking them what I was doing wrong. “You’re in France,” they said. I started to panic. I was supposed to be in Switzerland! Leave it to me to get on the wrong plane. Then they said, “Go over to the Switzerland side,” and they pointed to the other arrival gate. 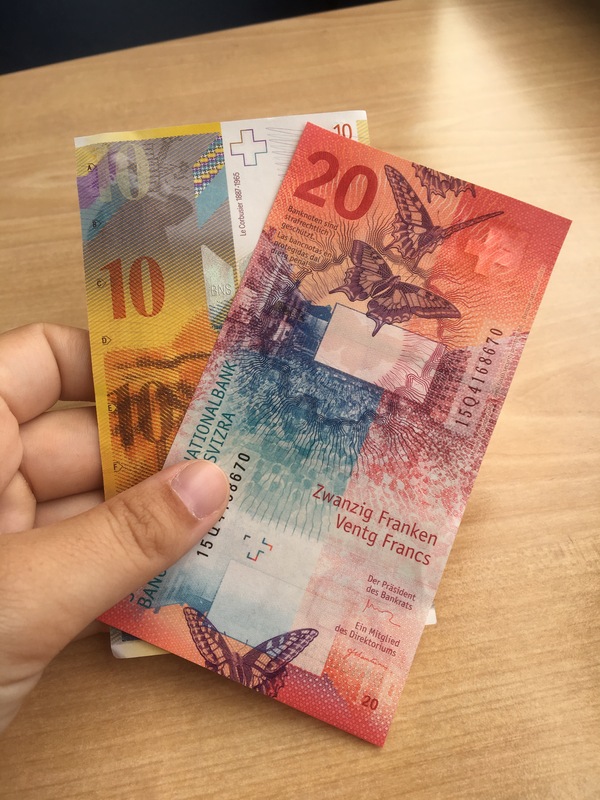 Soon after I got my Switzerland money with pretty pink butterflies, I realized that Basel, Switzerland was on the border of Switzerland, France, and Germany. I sleepily made my way via the shuttle to train station and made the small walk to my hostel in Basel. I received a map from the receptionist, and looked more into my location while laying in bed. I was only on a day trip from Budapest here, but couldn’t help but think it would take me only a few hours to see all of Basel. 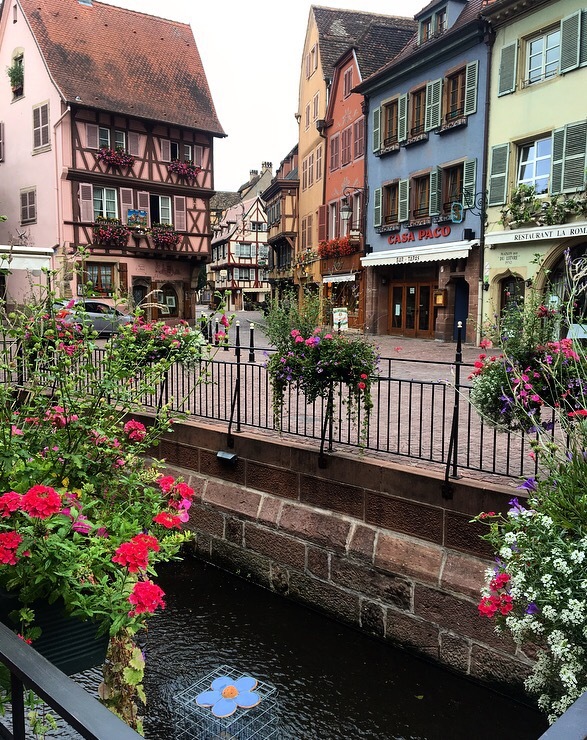 I looked up what else was close and saw pictures of Colmar, France, a train ride away, and went to bed. Seventeen minutes later I was on that train. Not even an hour went by when I arrived in Colmar, France. I had screenshotted directions using the wifi at the hostel. As I began to walk along the town I realized how peaceful it was in the early morning, no one even up yet. 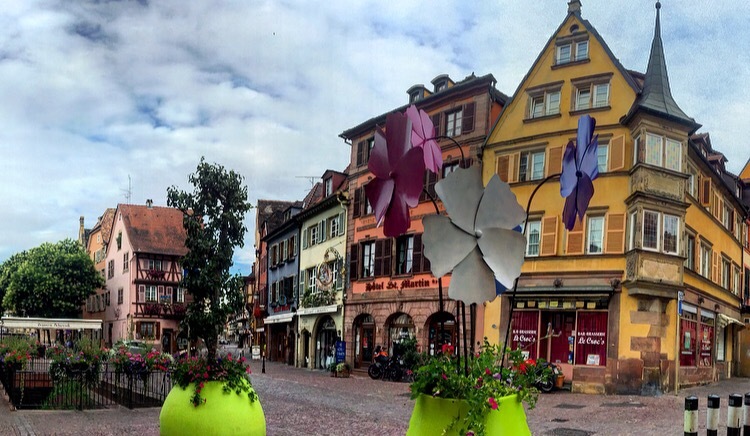 Once I started to get to the center of the Old Town Colmar, I started to smile. It was a good idea to hop on that train. The entire town seemed to have a “garden” theme to it, with canals, porcelain flowers and bugs surrounding the town as well as live flowers potted everywhere. The buildings had knickknacks and entire chairs on the front of them and the criss-crossing of the wooden panels made the place seem more like a fairy tale city than a real life. I wondered why I had never heard of Colmar before last night. 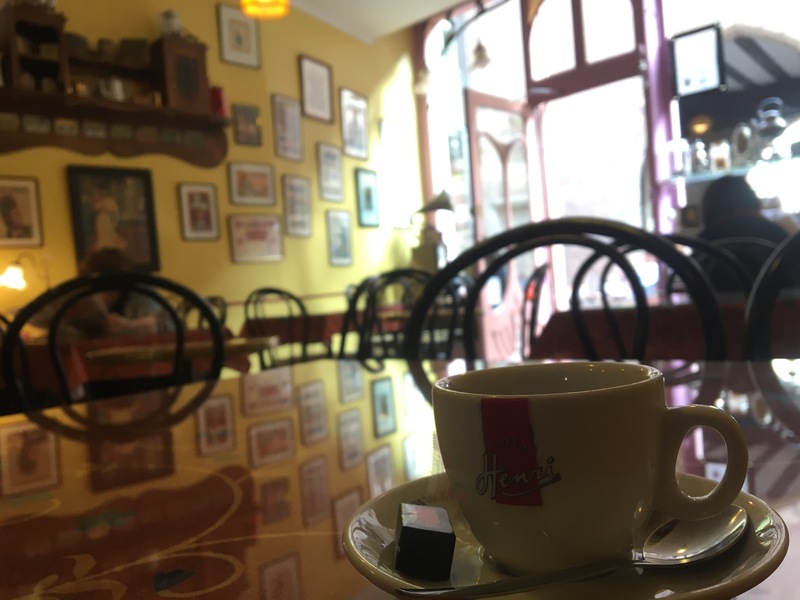 I stopped in a coffee shop, where the owner only spoke French, and had a cappuccino. I noticed all the Statue of Liberty art around town, which I found ironic as an American, that this symbol of America is actually 100% French. I found out later that the sculptor of the Statute of Liberty grew up in Colmar, France. I strolled along the canals, walked slowly, and took in all the beautiful colors of the architecture. This place seemed magical, and since pictures can convey 1000 words, I tried to include a lot in this post. The small town was vibrant, quirky, and unique in every way. 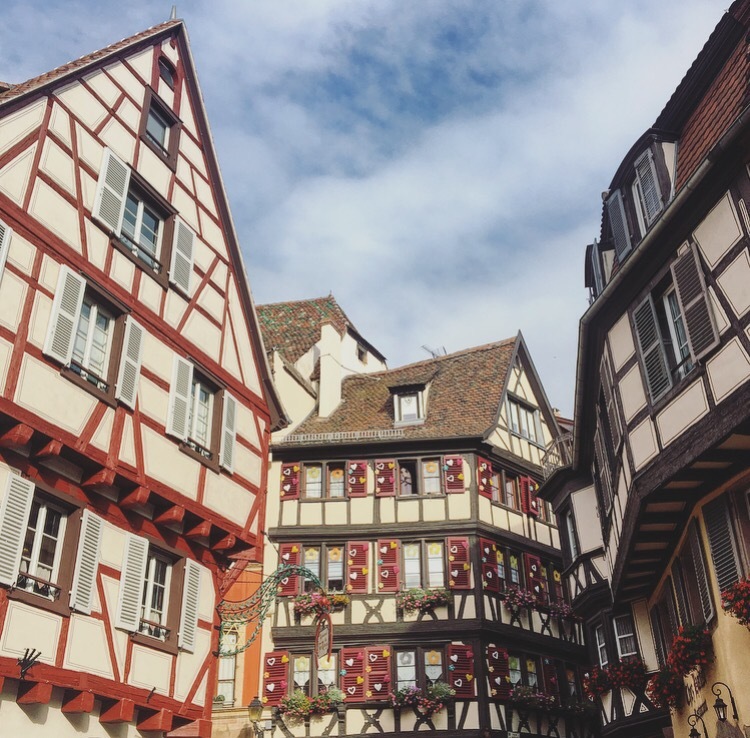 I’m walked along in awe, happy I made the split decision to go to Colmar, France for the morning. Followers, any unconventional small towns that you’ve visited and loved? Wow wow wow. Amazing pictures. 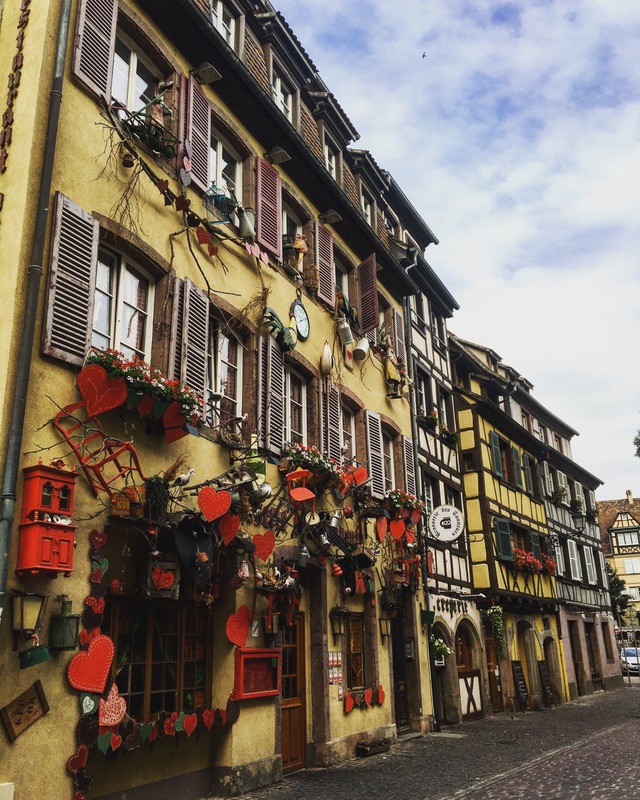 Colmar looks so beautiful. Great post! Thank you so much! The little village was absolutely magical! Very colorful place. Tks for sharing! !